Not too long ago I bought a donut pan and my first ever batch of donuts turned out great, and to my surprise were pretty easy to make. I decided to make another batch this weekend. The weather has been rainy and gloomy and a perfect weekend to bake! 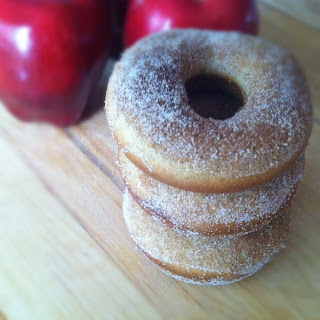 I love apple cider donuts and since it is September I figure now is a great time to make my first batch of them. I tend to go a little apple crazy in the Fall. We go Apple Picking mid September so I will be sure to feature more Apple inspired recipes later in the month! In the meantime if you need an Apple fix, make these donuts. They are so so good! Preheat oven to 400 degrees. Spray a donut pan with cooking spray and set aside. In a small saucepan over medium heat, bring the apple cider to a simmer. Reduce heat to low and simmer uncovered for 15-20 minutes or until the cider has reduced to 1/3 cup. Set aside to cool. In a medium mixing bowl combine the flour, baking powder, baking soda, cinnamon, nutmeg, and salt. In another medium mixing bowl cream the butter and sugar until smooth. Add in the egg and continue beating. Stir flour into wet ingredients, alternating with buttermilk. Begin and end with flour. Stir until well combined then add in the apple cider. Mix until just combined. Fill the donut pan 1/2 of the way full and put into the oven for 8-10 or until the donuts are golden brown. Remove from oven and put on a wire rack. Combine the cinnamon and sugar on a plate. Using a pastry brush, brush the top of sides of a donut with apple cider then dip into the cinnamon and sugar mixture. Repeat with remaining donuts. I love apple cider donuts! Can't wait to make these! Love these, I just made my first batch of donuts last week, I will be using your recipe to make these, I will just add my whole wheat flour and such! Thanks for sharing! What a perfect fall dessert! I am in love with my Wilton doughnut pan so I can always use any excuse to whip it out. I would love for you to share this with my readers at Mealtime Monday. I need to get a donut pan! These look so good. These look amazing. I have to try them and don't have a donut pan. Darn, another thing I have to go out and buy! These sound delish! I was thinking of getting a donut pan, I'm trying to lay off the Krispy Kreme. I'm saving this recipe & I will give you a shout out when I use it. I hope you & your family are having a great labor day. These look absolutely scrumptious! Thanks so much for linking up to our Countdown to Fall link party! Happy Labor Day! Hey Bridget thanks for sharing this recipe with us at Foodie Friends Friday be sure to link this recipe up with us and come back on Sunday to vote. You are featured at heavenly treats Sunday, make sure to come over tomorrow and get your featured button! 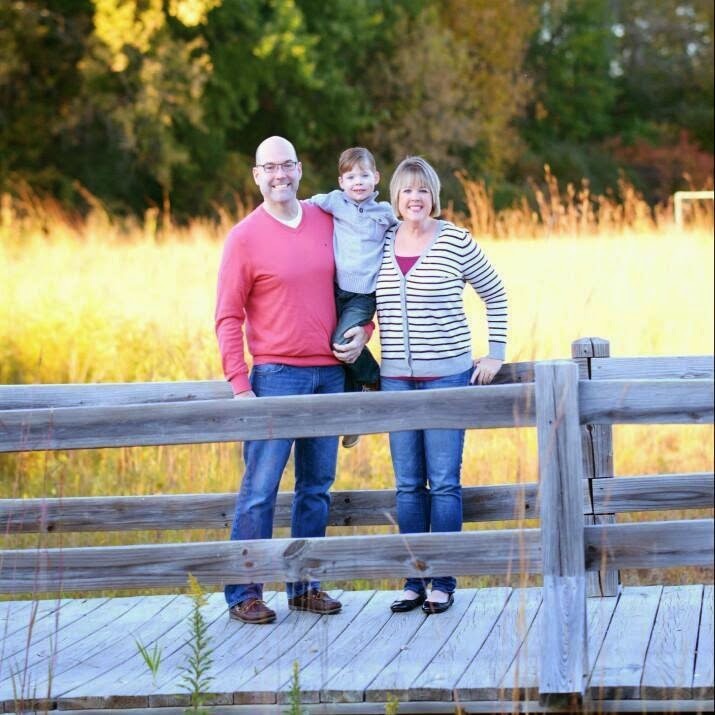 Your project was one of the features at last week's It's Fall Y'all ~ Linky Party. I would love for you to share any other Fall projects you have! Have a great day! Just devoured one these baked goodies, YUM. Eyeing the rest with longing. Thanks for the recipe, will be following the blog, now. Thank you! Glad you enjoyed them! cider donuts are BIG around here in Michigan! Visiting from the Naptime Review Hop - I'm your newest follower on here and FB. This may be an ignorant question, but is the apple cider the warm stuff you can make from a mix, or more like apple juice? Not a ignorant question at all! :) I used the bottled Apple Cider.